Walk through the doors of the Garfield Conservatory, and you could find yourself in a dry and arid desert, a lush prehistoric land of ferns, or surrounded by colorful fruits ripening on the branch, all depending on which doors you walk through. Jason Toth is one of the many horticulturists behind this haven of perpetually blooming flora. Unsurprisingly, it is quite a bit of work maintaining the many needs of all these plants, but there’s more to it than one may think. The Garfield Conservatory is an oasis of green in the urban environment of Chicago. In any given year, the free museum draws visitors from all over the city, all 50 states, and from many other countries. The specialized greenhouse growing environment allows visitors to enjoy thriving plants year-round, regardless of the seasonal weather fluctuations outside the glass walls. 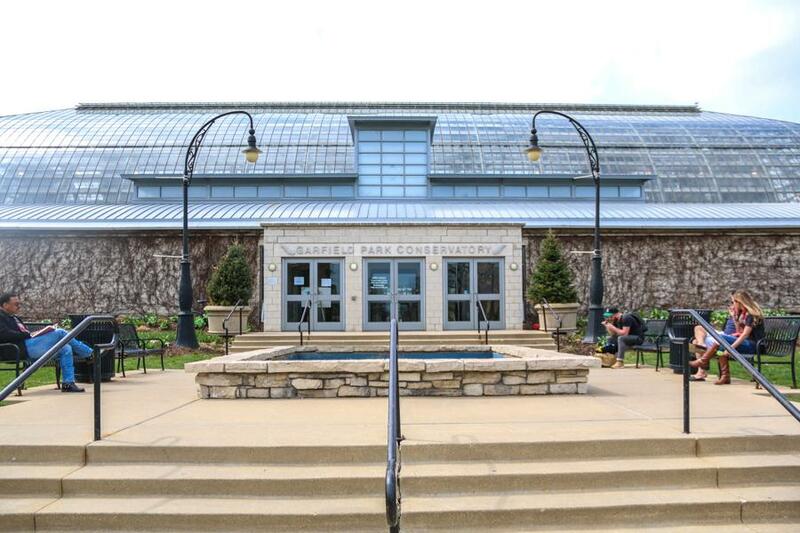 Jason Toth, a floriculturist of 4 years at Garfield, began as a seasonal employee, but was drawn to the specialized greenhouse growing environment of the conservatory, where conditions like temperature and humidity are manually controlled. "The kind of person who would work here is usually pretty eccentric," Toth says. "You're working with the same crop for quite a long time, doing a lot of hard work, tedious maintenance--it's not made for everyone. You take it all--the labor, the art, the science." The building also has its quirks. It is an old building, built in 1908, and so unlike newer facilities which have more automated systems, hand cranks are used to open and close vents and temperature is adjusted manually on a thermostat. "There's a certain romantic element about working in an old facility; you become in tune with everything," Toth says. Before these marigolds and zinnia plants are ready to be put on display in the vegetable garden in the summer, they are first grown from seeds and carefully tended for in a back room. Next, they are transplanted to individual cells where they will stay for a few weeks. Only after this will they be placed out in the conservatory for the public eye. Toth stresses the importance of the work that goes on out of sight in back room. "We are growing from seed, from cuttings, and from plugs, so we’re turning very tiny things into large plants," he says. "That's where the magic happens." 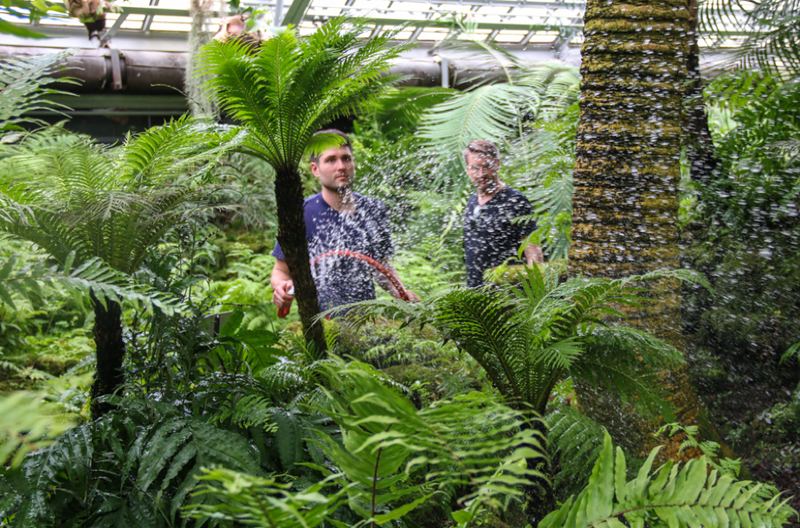 When the plants are ready to be put on display, a horticulturist's work is still not over. Toth must consider how to artfully compose and place the plants so that there is a balance of textures, colors, and sizes. The park also allows visitors to participate in this process through year-round volunteer work, programming, various events "under glass", and educational activities. "I can say without a doubt that this is my favorite job. It’s the best that I could ever imagine having," Toth says. "It’s a natural tendency of people to want to be around plants."